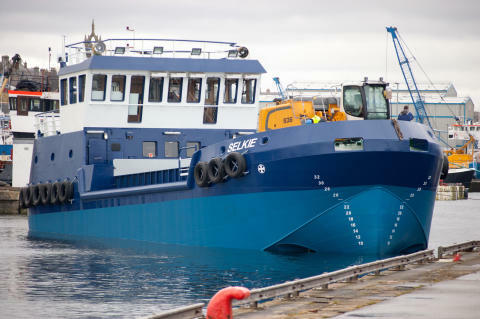 The MV Selkie - named after a mythical Scottish sea creature - will be officially launched by Clare Russell, the Lord Lieutenant of Banffshire. The vessel was built at the nearby Macduff Shipyard facility in Buckie and is Scotland's only council-owned dredger. As well as dredging Moray Council's six harbours, she will also be available for dredging operations in other council areas. Tomorrow's ceremony will begin shortly before 12 noon with a welcome from Moray Council convener Councillor Allan Wright. The Selkie - whose name was chosen by local schoolchildren - and her crew will be blessed by Findochty and Portknockie minister Rev Dr Hilary Smith before the Lord Lieutenant performs the naming ceremony. Following the ceremony guided tours of the vessel will be available.